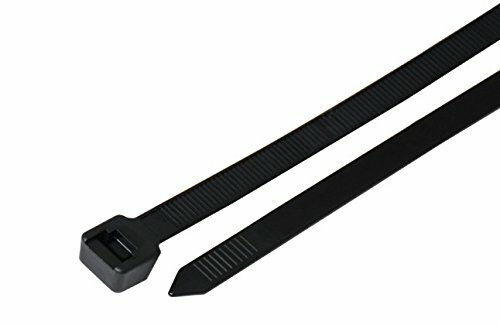 40-Inch cable ties with a tensile strength of 175-lb. This pack of 25 UV resistant Black ties are perfect for outdoor use in direct sunlight. They are made of a high quality 6/6 nylon and are great for larger projects around the home and office.